A relatively active week for VLCC, despite the fact that activity appeared a bit slow. Fixing continued well under the ‘radar’ and in particular, Chinese ships were being hoovered up for local business. However, non-Chinese tonnage was also quietly disappearing, Fearnleys reported. MEG tonnage is in tight supply up to the middle of February, although more ample for second half of the month. Reports of tonnage ballasting from the Far East to Caribbean raised some eyebrows. Iran remained in the headlines with a couple of crude deals concluded, but the country is still not a major factor, as many owners remained undecided. The market was adopting a bit of a ‘wait and see’ attitude, the broker said, but appeared steady for the major VLCC routes, although there was some increased activity Caribbean/East. The soft trend continued for Suezmaxes as the market tumbled for WAfrica/UK-Cont-Med voyages last week. Rate yields were about $27,000 per day, the lowest seen year-to-date. There are, however, more cargoes to be worked ex WAfrica for the remainder of the month, but as charterers were patient in approaching the market, we may not see the rates move up yet, Fearnleys said. 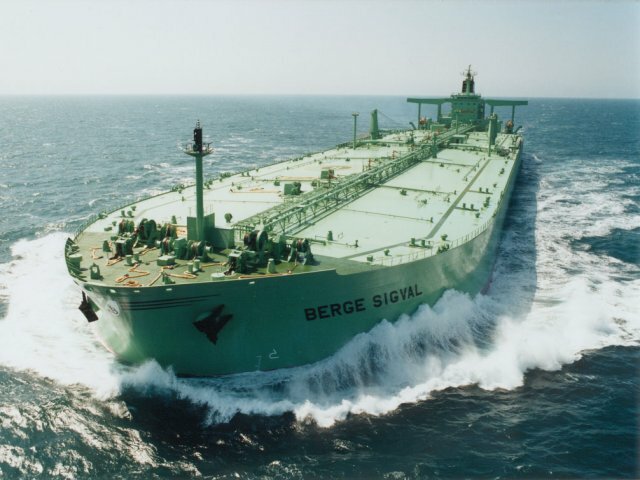 Looking forward, there are many WAfrican cargoes already reportedly sold for long haul voyages and particularly for Asia on VLCC’s in March, which did not help the Suezmaxes. Daily returns for Aframaxes trading in the ice market ex Baltic is now around $50,000 per day, compared with earnings of about $30,000 per day for voyages ex North Sea. The Baltic was looking a bit softer in the 14th-20th February window. The March loading programme ex Hound Point is expected to be one of the largest in years. This, coupled with the VLCC berth being down for maintenance during the first half of the month, will lead to an upward pressure on rates. The Med/Black Sea market plunged this week. Most thought that the market had hit rock bottom, but charterers managed to make life harder for owners. Sidi Kerir/Portugal was done at WS73,5 which gives a daily return of about $9,000 per day. It seems that the priority for a lot of owners today is to keep their ships moving. As the position list could take a vessel form one side of the Mediterranean to the other, we don't expect any quick recovery the next couple of weeks, Fearnleys said. In the past couple of weeks, brokers reported that Unipec had fixed the 1999-built ‘Maran Gemini’ for 12 months at $45,000 per day, while the 2003-built ‘Nave Celeste’ was said to be fixed to Core Petroleum at $45,500 per day. The newly built VLCC ‘Alice’ reported last week as fixed for a gasoil cargo, was said by brokers to have been fixed by Total for six months at $62,500 per day, which included the gasoil cargo on her maiden voyage. ST Shipping was believed to have fixed the 2011-built Aframax ‘Green Warrior’ for three months at $40,000 per day, while CCI was reported as taking the 2009-built LR1 ‘Summit Africa’ for 15 months at $23,500 per day. Another Aframax - ‘Cakra Partiot’ ex ‘Aegean Legend’ was reported fixed to Glovis for 12 months at $24,000 per day. Masel was said to have taken the MR sisters ‘Gotland Sofia’ and ‘Gotland Aliya’ for 12 months at $17,250 per day, including a profit sharing partnership. Koch was believed to have fixed the 2003-built MR Qurtuba for 12 months at $17,500 per day. St Shipping was again said to be behind the fixture of the 2003-built Handysize Vallermosa’ for 12 months at $17,250 per day, while Flopec fixed the 2006-built Handysize ‘Arionas’ for three years at $19,000 per day, Capital confirmed. In the S&P market, the 2003-built Handy ‘Cielo di Roma’ was confirmed as sold to Turkish buyers Akar Shipping for $13.8 mill. The elderly 1992-built shuttle Aframax ‘Navion Torinita’ was reported sold to undisclosed interests for $6 mill. Leaving the fleet was the 1986-built parcel tanker ‘Stolt Sapphire’ thought sold to Indian ‘green recyclers’ for $260 per ldt. In the newbuilding sector, Turkish owner Ditas was believed to have ordered two Suezmaxes at HHI for $63 mill each. Stena Bulk has decided not to exercise options to build another two IMOIIMAX MRs at CSSC Offshore & Marine Engineering.